Diners Club International cards were the world’s first charge card. The original Diners Club card in 1950 was small and made of cardboard. In the first year of operation, thousands of New York’s elite business people became members of this way of payment, as a result, monthly billing came into fashion. In 1970 Diners Club launched its first range of corporate cards, and in the 80’s introduced their Club Rewards. Today the card is issued in more than 200 countries and 70 local currencies, in addition, it has more than 50 million members in over 200 countries, dealing with 20 million merchants. Diners Club is the payment option for individual business people, professionals, and medium to large corporations, furthermore, the card has global acceptance. Their primary function is the management of travel and entertainment expenses. Premier Card. This card has an annual fee of $95. 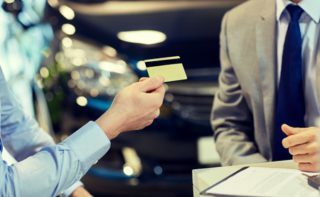 The Elite Card has an annual fee of $300, especially relevant, you get three times more points when you use your card for fuel, groceries or at pharmacies. Diners Club Charge Card with a yearly fee of $95 and a 3% foreign transaction fee. Diners Club Credit Card. No annual fee. Superior insurance. Carte Blanche Card. The fee is $300 annually and a 3% foreign transaction fee, in addition to exclusive benefits and services. These cards offer a Premium Corporate Card programme for employees. They are mainly expense and purchasing cards. The cards include special ‘spend control’ tools. Corporate card products with optional rewards and benefits, and most of all, superior customer services 24 hours a day. Data visibility 24/7, therefore you can analyse the spending trends. Personal Assistant. Assistants are available to make reservations for dinner, golf, tennis, theatres, furthermore, cardmembers have use of this service 24/7. Complimentary beverage service, flight info, newspapers and television. For every $1 spent, you earn 1 Rewards point.These points can be redeemed for Frequent Flyer miles, travel, brand-name merchandise, and more. Car Rental Discounts through Budget and Avis. Access to cash at all ATM’s accepting MasterCard. Money for any unexpected expenses or emergencies, consequently, you are never caught short. Annual Statement summary, as a result, see your whole year’s activities in one document, online. Apple Pay, therefore, make use of contactless technology to pay. Diners Club International Cards boast superior service, products, benefits and rewards, in addition to global acceptance. Apply for yours today, and become part of the elite.